My name is Paul Smith and thank you for visiting my website. 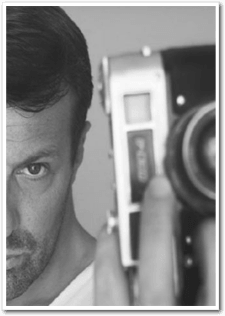 I am a professional, award-winning photographer who works internationally, capturing portraits and people-based photography. My passion is for portraiture or head-shot and my clients include actors, management agents, organisations such as the BBC, ITV network, publicity and publishing houses, theatre schools, and equally important, smaller companies including local acting schools. I have photographed not only The West End’s and Broadway’s finest, but the whole spectrum of performers through to juniors entering Spotlight for the first time. I would like to think that my photography becomes part of a person’s career process as so many people return to me for their upgrades and new images. I thrive on capturing eye-catching photography with my own style and elements; a style that works and that is getting my clients noticed, leading to auditions and roles. I will always make you look your best, so sittings at PSP are relaxed and varied: as an ex-professional musician, music is important to the whole occasion and people are encouraged to bring their favourite playlist, along with the appropriate clothing, to the shoot. My approach will allow you to relax immediately into the sitting. It is a harsh reality but unless you already have a recognised name within the industry, you will need a truly outstanding head shot. A shot that is not over-edited; an image that is showing your colour, and complexion to perfection: the real you. Your self-promotion through the head-shot is key to your audition selection and is equally as important as the qualification and experience you have worked so hard to build. There really is no shortcut to a good head shot. You need to prove your intention and seriousness by presenting a stunning image….no selfies, no mates who have just bought a camera and who will do it for a tenner! Go for professional and skilled images that will get you noticed and reinforce your reputation as a serious and determined actor. London houses so many amazing photographers with their own style and approach. Given that, I feel extremely honoured when people request my service and I will always go the extra mile to ensure that the experience and investment is above and beyond satisfactory. I believe in choice; not 1 or 2 shots and then extra charges for the rest of your preferences, but a fair amount of final images included within your initial charge. I will photograph you in so many styles that you will be able to define various genres from your sitting: contemporary acting, musical theatre and traditional styles etc., allowing you to match your audition theme and increasing your chances of progression during the selection process. All images are brushed before being sent for final choices. This means that all blemishes and marks are removed prior to the final edit. Final edits are treated to improve the tone, colour-balance and clarity. I will not edit images to make them too commercial as my personal preference is to be as natural as possible. Why not check out my FAQ page for some answers to some common questions about headshots and how to prepare for a headshot session. If you have any other questions, feel free to get in touch.